Greetings friends, so lovely to have you join us for Thoughts of Home # 31. Here in Texas we are anxiously awaiting Fall and in an effort to usher her presence in we are hosting a Seasonal Tiered Tray Extravaganza on September 13, 2016. We would be honored to have you join us on that day and share your tiered trays with us, so please mark your calendars and plan to attend! Your hostess this week is Jemma and she has been as busy as a bee harvesting some goodies from her garden and making some jelly using jalapenos. 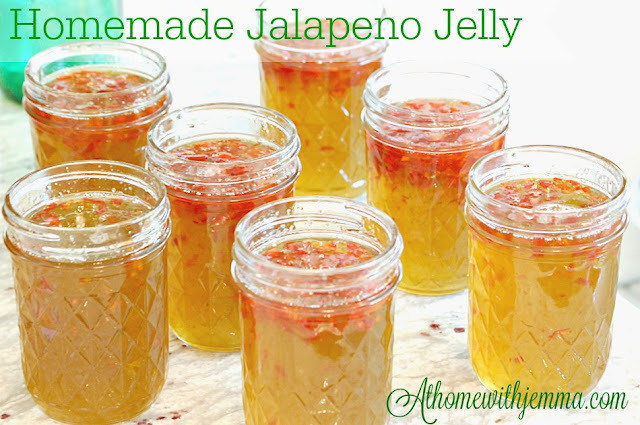 Jalapeno jelly on top of a block of cream cheese and served with crackers, is yummy and easy. So lets move right on to this weeks features! 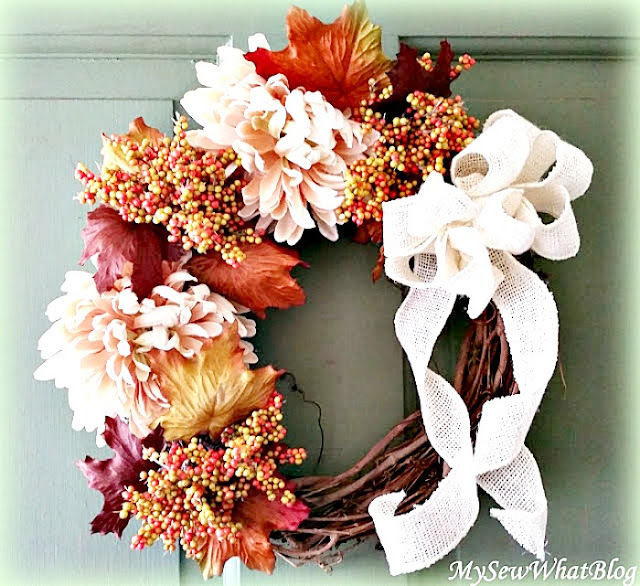 Linda from My Sew What Blog whips together a lovely Welcome September Wreath for her Mom. She made it for under $15 too! "Get happy tip: eat more vegetables. You will love the way you look and feel." 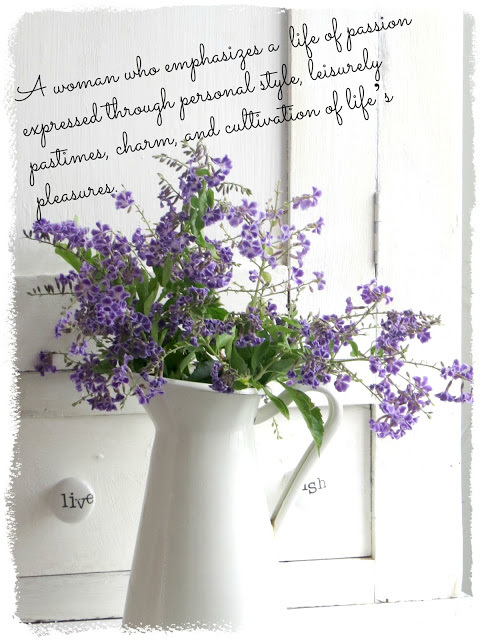 unknown Carol from the The Red Painted Cottage, shares this quote and a easy gazpacho, for an end of Summer treat. 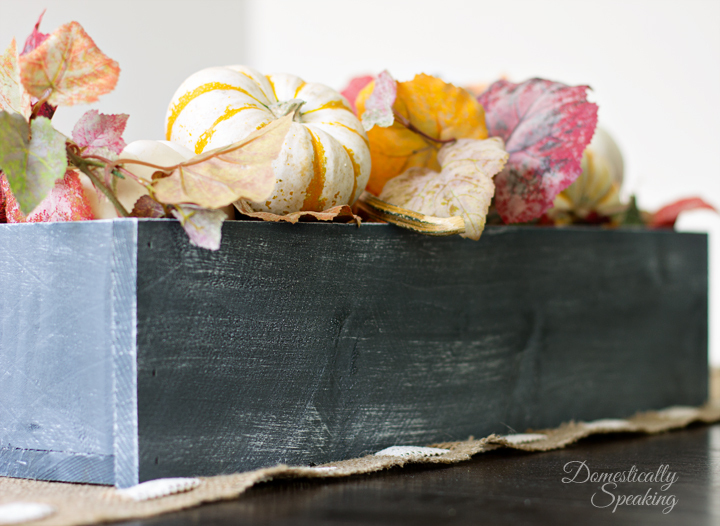 This is a lovely little combination of DIY and Fall decorating from Maryann over at Domestically Speaking. 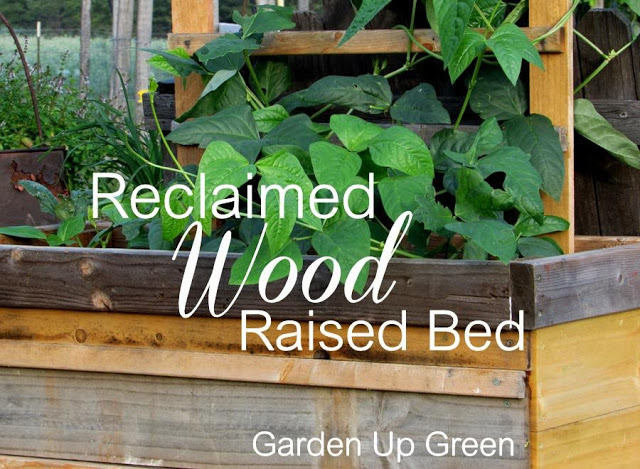 Carole from Garden up Green takes the leftovers from a wicked wind storm and turns them into a reclaimed wood raised bed. We ask that you please: 1. Link back to this post or any of the four hosts websites. Stacey from Poofing The Pillows Laura of Decor To Adore Jemma from At Home With Jemma Laura of White Spray Paint 2. Share up to three of your favorite posts, remembering to not link to advertising or shops. By linking up you are providing permission that Thoughts of Home on Thursday can feature your post and accompanying photos on future blog posts or other forms of social media such as Facebook and Instagram. A link back to your blog will always be provided. Thanks so much for hosting. I hope that you have a great day. I love the features. Carole raised garden bed is adorable. Stacey thanks for hosting each week. Have a blessed weekend. Thank you sweet Stacey! I'm looking forward to the tiered tray event next week, it inspired me to clean and redecorate my whole kitchen/great room! Thank you for the feature, Stacey, and this awesome party that you and Jemma host each week. FYI, I'm coming to TX the end of September! Thanks for the party Stacey. You are the hostess with the mostess! Linked and delighted to have time to splunk through! 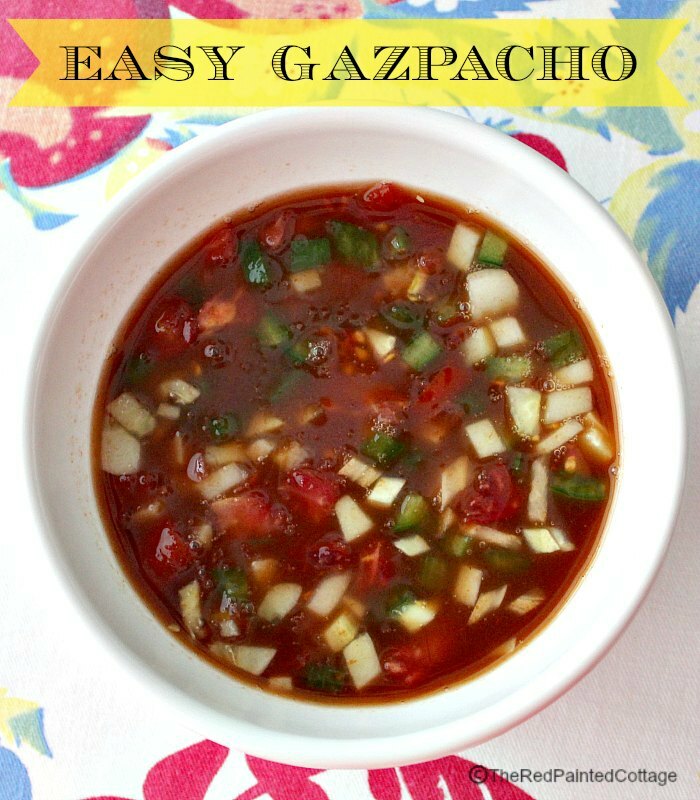 Got to check out that gazpacho recipe! Thanks for hosting! Thank you for this fun party! Stopped by to share a fun fall wreath tutorial and a pumpkin DIY. Thanks! Another great group of bloggers! Thanks for hosting! Good morning Stacey! Thanks So much for hosting. Thanks so much for hosting and for taking the time to visit!! I really appreciate it!! Hi Stacey, everything here is so fall inspiring. I am loving the features.